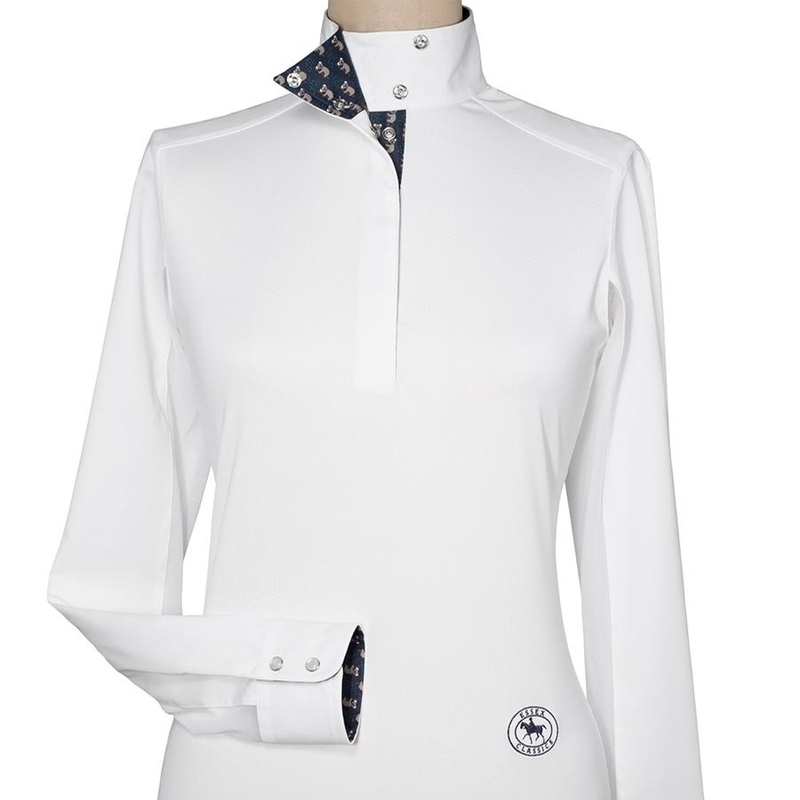 The Essex Classics Talent Yarn Show Shirt will have you show ring ready with its classic styling and modern touches. 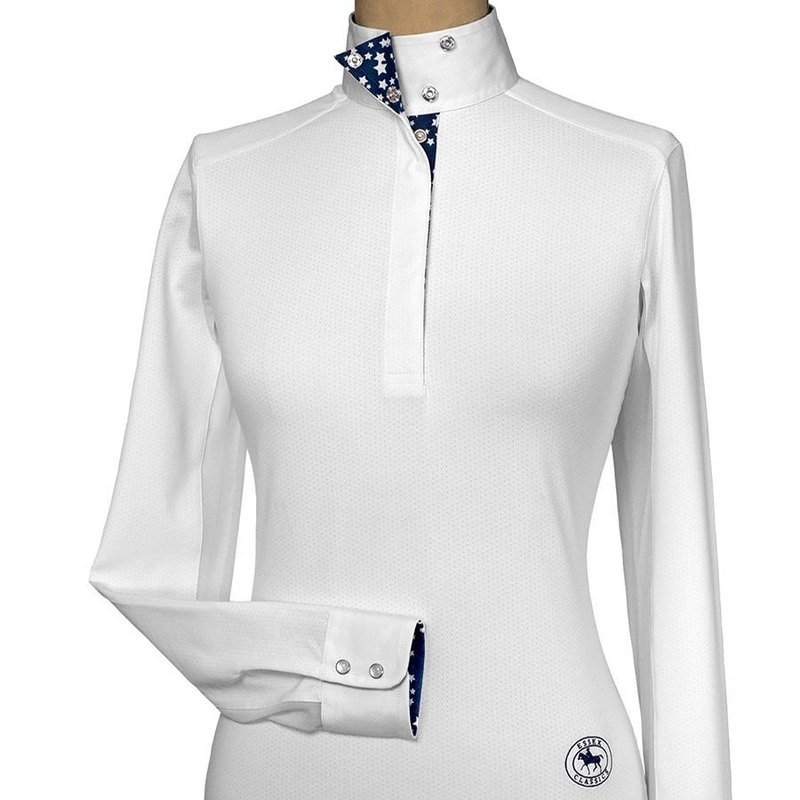 The cool, refreshing nano-tech fabric along with UV protection and under sleeve mesh ventilation panels make this show shirt perfect for summer competition. When not in the ring, the cuffs and the collar with a hidden snap can be undone to reveal a fun contrasting fabric trim detail. This pull over style show shirt is easy to get on and off during hectic show days!